Before any one of you says "that's too complicated, can't do that", stop and hear me out. This design is much more simple to create than you think. I promise. 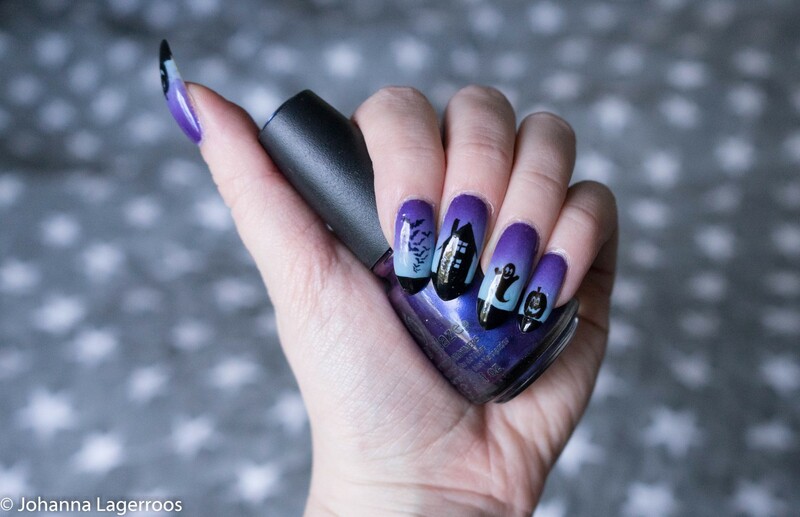 Yes, they are haunted house nails, yes it's a landscape divided on five nails and yes it takes a little while to do, but also yes, anyone can do it! Let me talk you through the process. 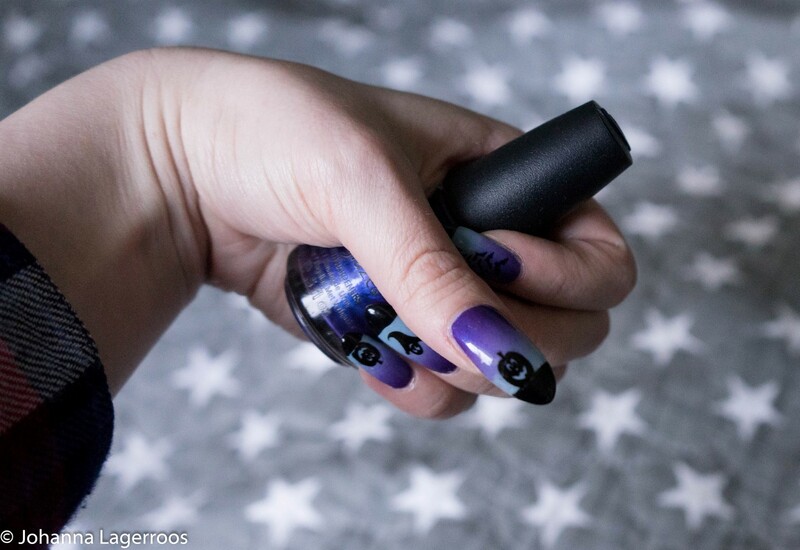 First you need your favorite base coat, a light blue polish, a dark blue polish, a black polish, your favorite fast dry top coat and water decals with spooky patterns. I'll list my chosen products later in the post, so just keep reading. So to create these yourself, begin by applying the base coat. When it's dry, paint the nails with the lighter blue polish. Wait it to dry, and do the gradient with the help of a makeup sponge (paint a bit bigger area of the sponge than your nail is, half light blue, half dark blue, and dab it on). Apply a fast dry top coat, and let dry. 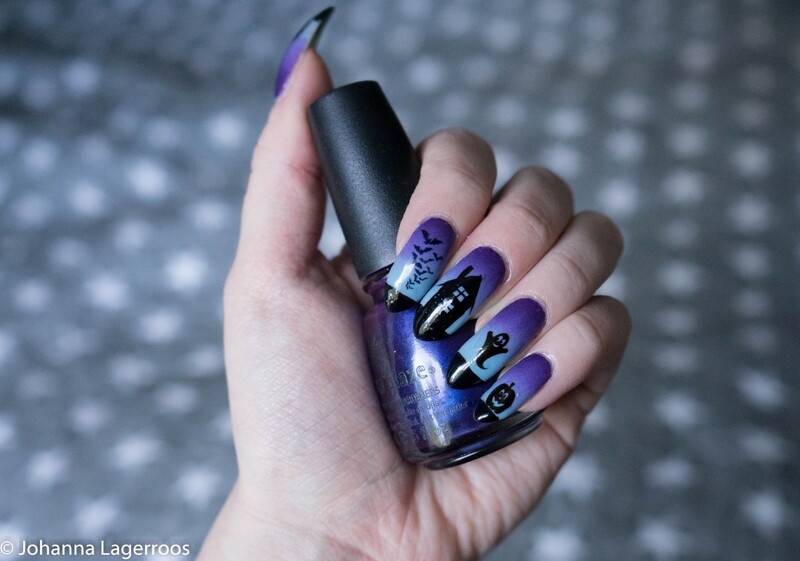 Paint the tips of your nail with black to create the ground. Let dry, and start applying the decals. 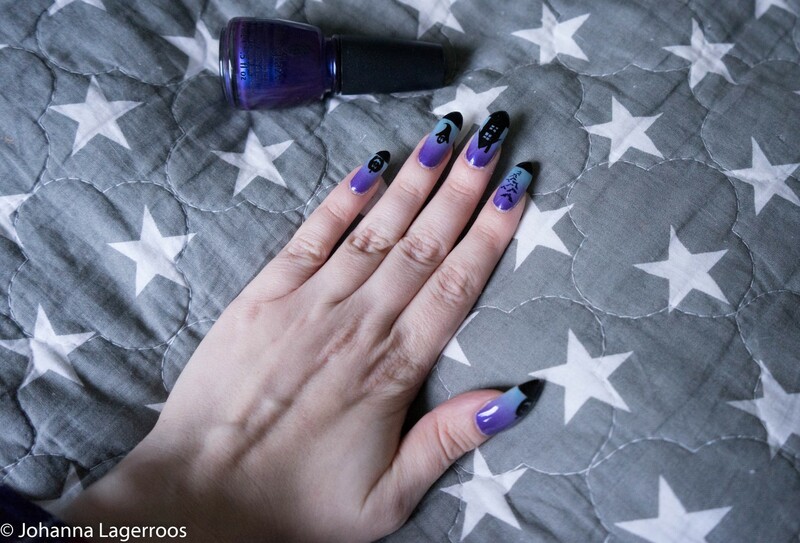 Cut the patterns you like right sizes for your nails, and one by one wet them in water and apply to your nails. 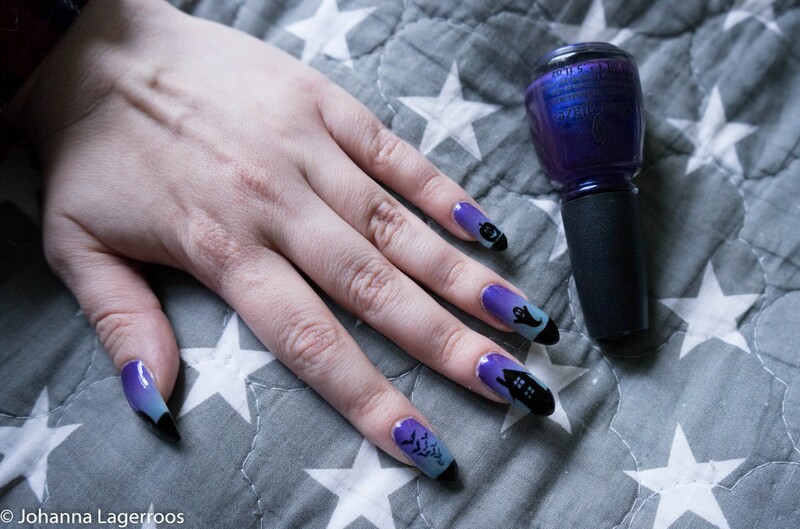 Then, paint the haunted house on one nail with thin brush (unless you have a decal or stamp for it, in that case use those). Apply a generous coat or two of the fast dry top coat. Clean up the edges, and you're done. No special skills needed, and you don't need to have long nails for this. The products I used were fast dry top coat and base coat by Glisten & Glow, Liquid Leather, Bizarre Blurple and Don't Be Shallow by China Glaze. 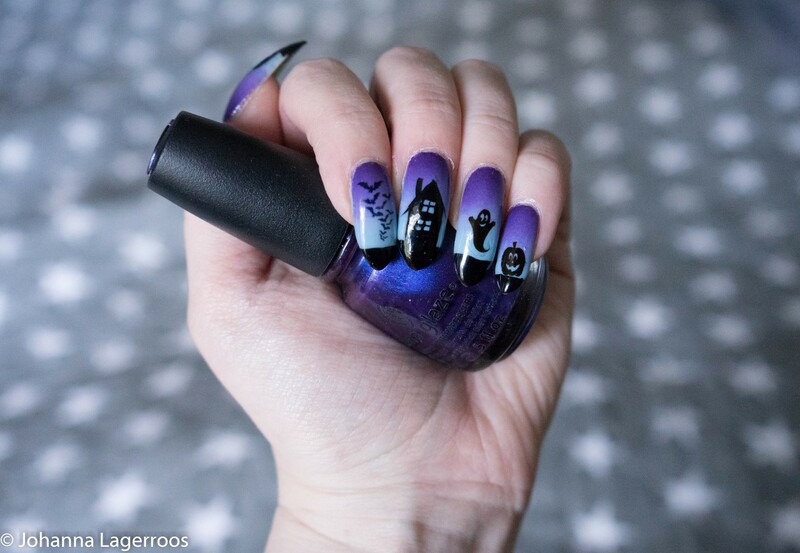 The bats, ghosts and pumpkins are decals from Shop Keeki. So what do you think? Did I manage to make it sound easy at all? Let me know in the comments! That's it for today's post, I hope you liked this design and that I convinced at least one of you to try this out. Tomorrow, we'll be making something tasty. Can you guess what that could be? 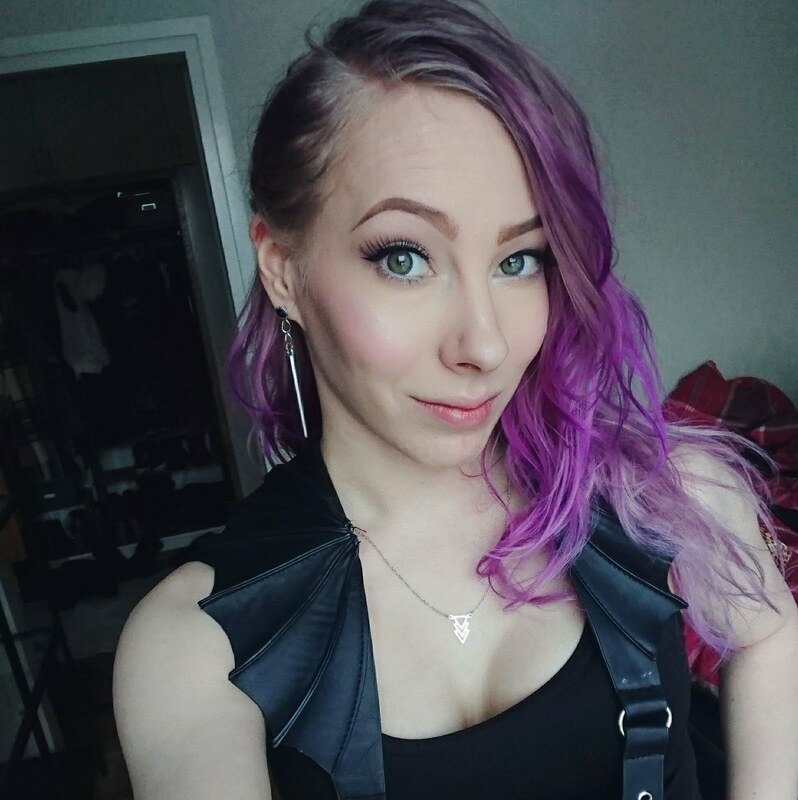 I would also love to see you join me on Instagram, I'm wishing to reach 5k at the end of this year but I need your help to get there! 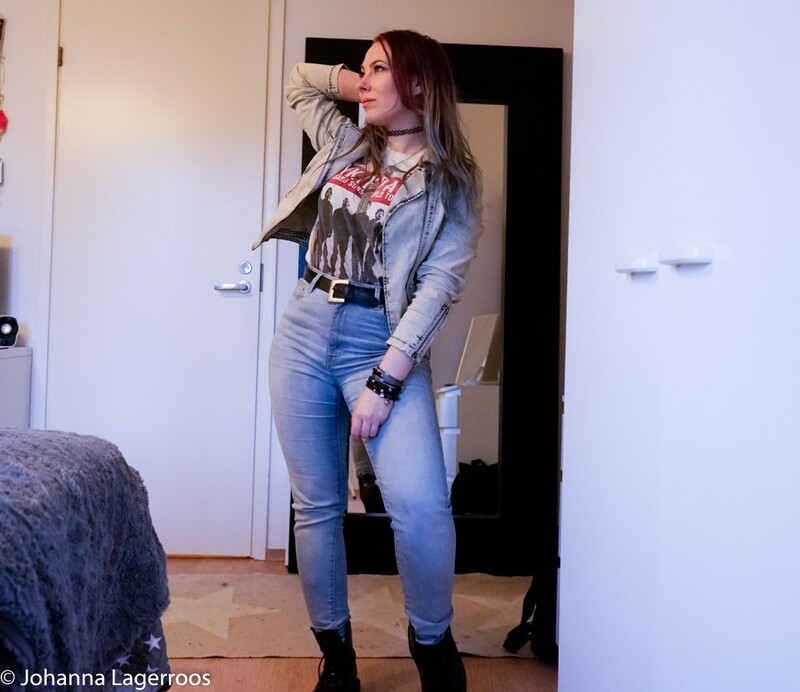 Please consider following me there if you don't already, I post daily outfits and more there.